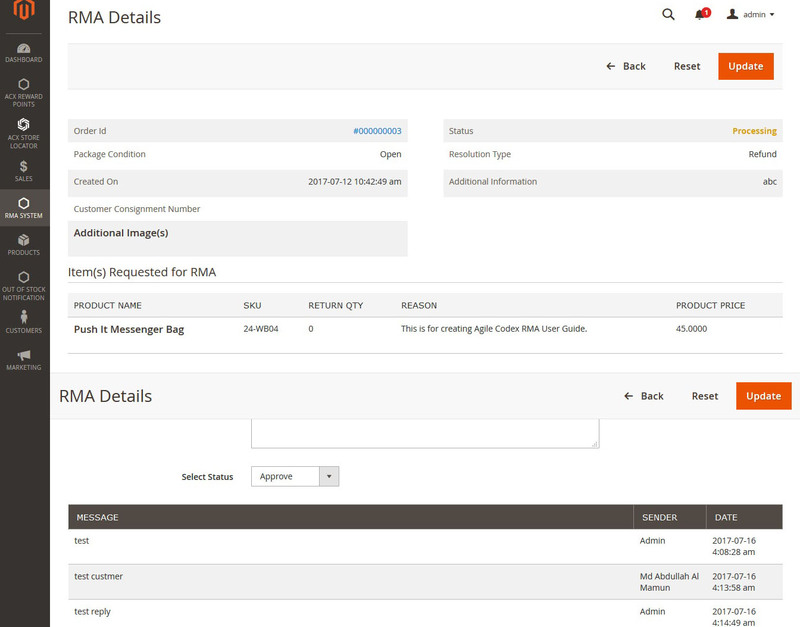 Return Merchandise Authorization (RMA) is a powerful tool for managing returns and / or exchanging items. This extension helps you to build strong relationship with your customers and to win their trust and loyalty. Its UI is an intuitive which allows your customer to create return / exchange requests quickly and easily. In conclusion ur RMA solution is suitable for any business model and easily integrated into any business process. Your customers can manage their returns or replacements orders and discuss for individual RMA separately. Guest customers can track an RMA by using the order number and their emails. Your customers can return or exchange the number of items they need, rather than returning full order. 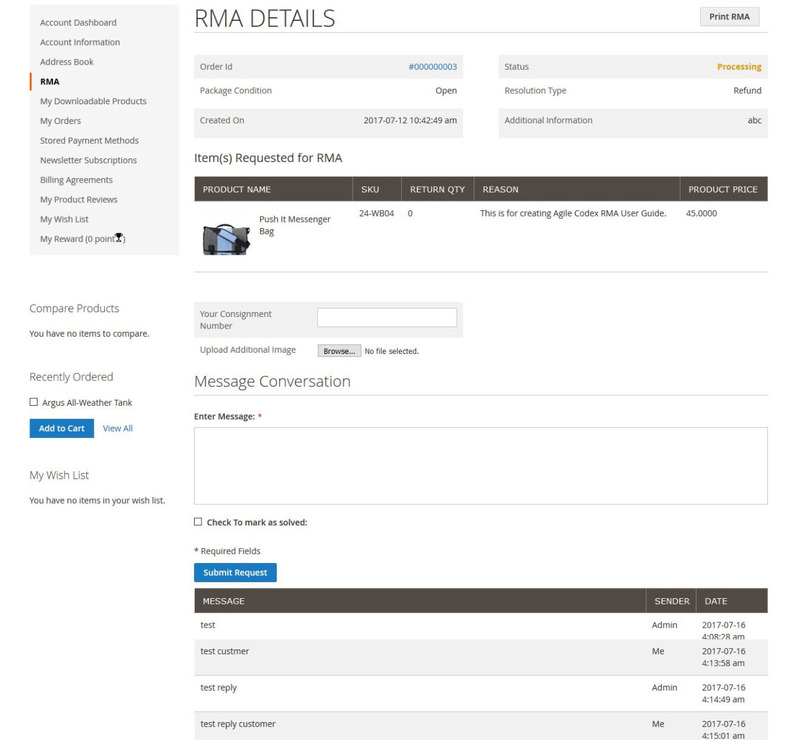 You can help your customers to create RMA order from the backend. You can reply to RMA requests. 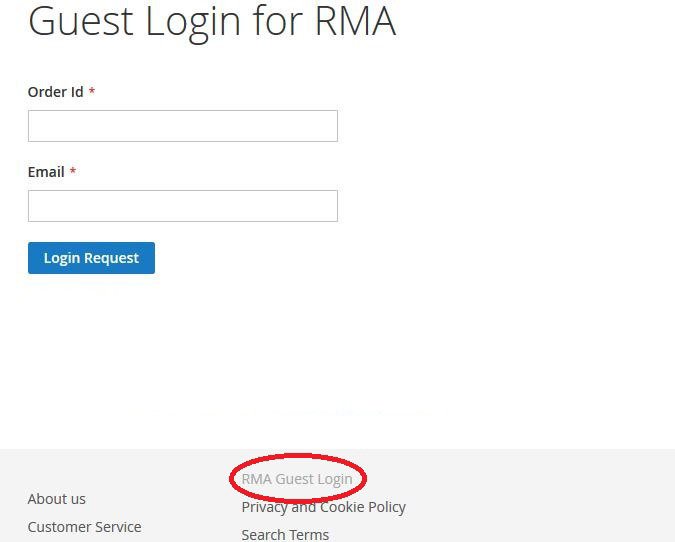 RMA reports are available by statuses and request reasons. You can add custom fields to RMA orders. 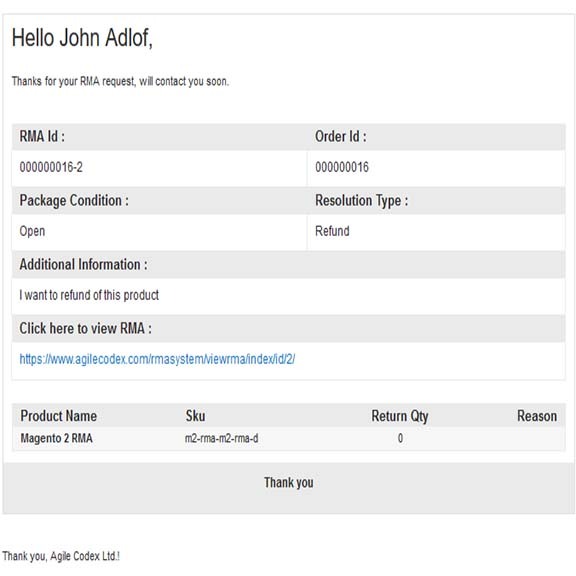 Magento 2 RMA allows your customer to receive a refund or replace a faulty product during the defined period. Our RMA solution for Magento 2 is flexible to manage all possible situations. We provide two different UI for customers and administrator. It allows both users to access necessary information to either request RMA easily or manage a request effectively. If your customer wants to refund one damaged from multiple products in one order, RMA allows customer to create request a full refund or a specific product replacement. Our Magento2 RMA provides a user friendly RMA request form, so that your customer can request for refund or replace a product easily and comfortably. 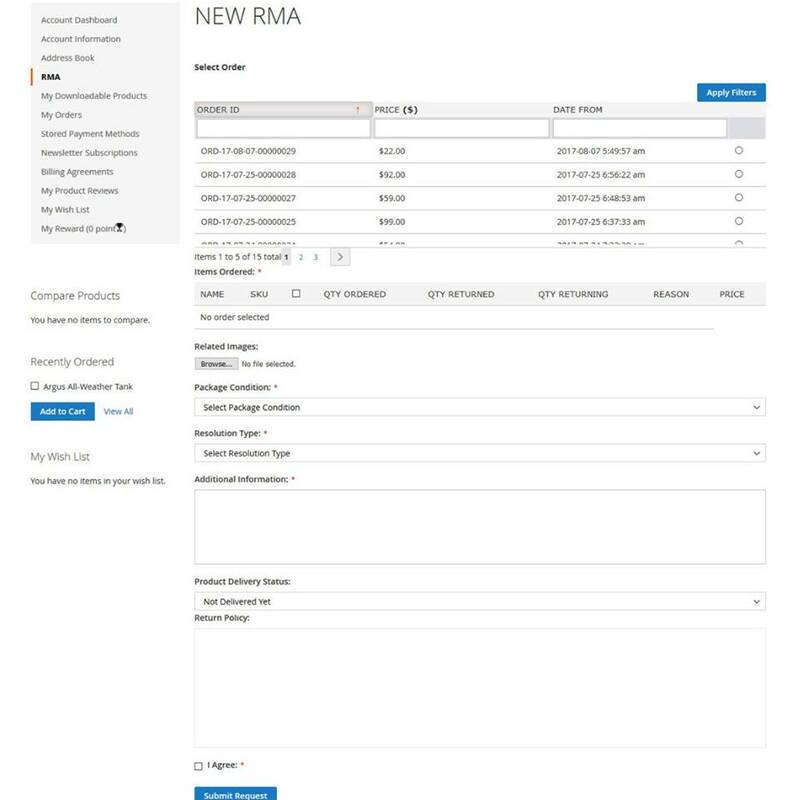 Admin can create many predefined reasons to select a reason for RMA processing quickly. Your customer can upload damage product’s image or any other related image to submit with the RMA request. You can see the uploaded image from backend. Our RMA module can print RMA details with shipping label and barcode. So, you can verify authenticity and manage shipping correctly. Magento 2 RMA provides you a detailed history of each RMA request including status and all necessary information. It allows filtering and sorting by date, status, order id and price etc. So, it helps you to process an RMA easily if you receive a larger number of RMA requests. You can communicate with your customer easily using Magento2 RMA. You can send message to your customer for particular RMA and vice versa.